Hey Friends! 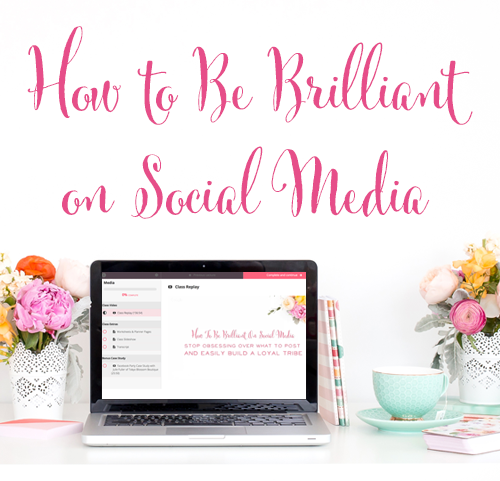 I am SO excited to welcome Victoria Osborn to the blog today, because when it comes to crushing goals, Victoria is pretty great at it! (She's too humble to admit it, but it's true!) I've seen her set goals of writing a book and launching it, then blowing that out of the water. 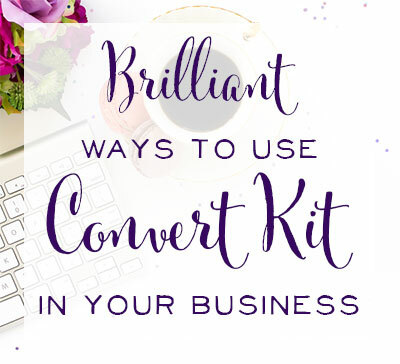 She sets goals for her blog, creating new products, and loads of other things and always seems to do exactly what she says she's going to do. How is that possible? Well, I'm excited to learn from her about the things that no one else is telling us when it comes to goal-setting. I used to set a lot of big dreams and lofty goals. Every year around the first few days, I would sit down with my pen and paper and start dreaming. Before long I had a list of “goals” I intended to set for the year and then without so much as a second thought, the list of goals would be pushed aside and on to the year I would go. Periodically throughout the year I would refer to that list to remind myself I probably should do something to start working towards these but then the repeated failed cycle would continue and the list of goals would be pushed aside again. December 31st would roll around and I would look at that list with a sense of failure and frustration. I didn't accomplish ANY of these things this year! Instead of evaluating why or making a plan, I would pull out my pen and paper and my failed cycle of setting unrealistic goals would continue. 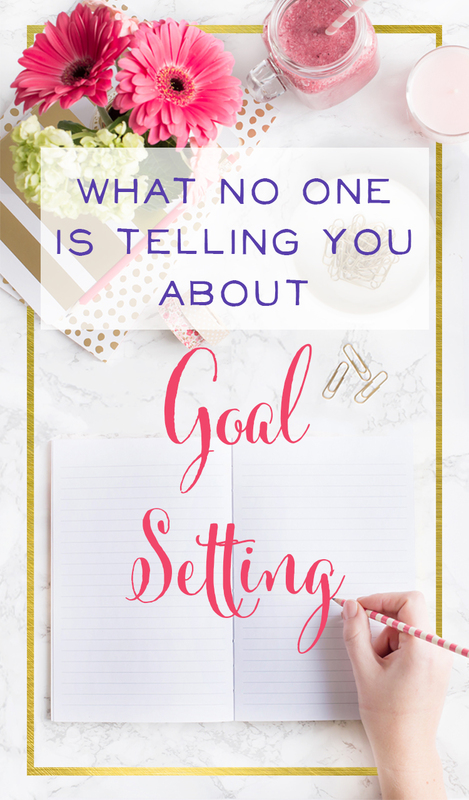 It's an easy cycle to get caught in but as I've learned a few things about goals in the past few years, the way I approach goal setting has completely changed. In fact I no longer end the year frustrated or defeated. I now end it with a feeling of accomplishment and success because I'm not in that same goal setting failure cycle anymore. I've finally cracked the code as to why I was failing at my goals and I wanted to share with you what I've learned along the way and what no one is telling you about goal setting. There is absolutely nothing magical about January 1st. It is just a date on the calendar. Sure, it's the first day of the year (and also happens to be my youngest child's birthday) but so many of us believe that goal setting MUST begin on January 1st for real success. Goal setting isn't defined by one date on the calendar. You can choose ANY date to begin your goal setting journey, no matter how far along in the year you are. The day you choose to set your goals and make a plan, is the perfect day for goal setting. So many of us confuse big, life-long dreams with yearly goals. While working towards those big dreams can, and should, be something to work towards, we need to be very careful about how we set smaller goals. For example if one of your goals is to to make a full time income off of your small business that you are starting from home, you don't just write that goal down and call it day. There are many, MANY smaller goals that have to be set and reached before the big dream of making a full time income can occur. Dreaming big is something I do all the time, but I don't just cast my vision and hope the cards may fall in the right places. I have to start small and do the work to build up to those big dreams. Finally let's also be honest about something no one else may want to say, sometimes dreams are just that… dreams. In our “you can do/be anything you want” culture, it's easy to lose focus (and even a bit of reality) as to what's right in front of you in the present. The biggest reason many fail to achieve their goals is because the goals they set have absolutely nothing to do with what matters most to them. Understanding your personal priorities and creating a personal statement is the key component in becoming a goal setting (and achieving) rockstar. This applies to both personal and professional goals. Knowing what is most important in your life is so valuable. If you feel like your wheels are spinning yet you aren't accomplishing a single thing and feel so frazzled all the time, take some time to list out your priorities then be super honest with yourself if how you are spending your time and energy align to those priorities. When you are setting goals, you need to also ask yourself if what you are working towards aligns to those priorities. It's easy to write out a list of goals but unless you make a plan then those goals will just sit on a list unaccomplished for the remainder of the year. Writing down a goal on paper isn't the magic formula for following through with a goal. You have to have a plan of action. I like to break my main goals down into small mini-goals. These are the tasks that I complete to work towards achieving my goals. After I create my mini-tasks, I promptly schedule them on the calendar to begin completing them. Goals won’t be accomplished unless you create a plan, set boundaries, and make a timeline. You can’t just create your goals and hope they will happen. Trust me, that approach just doesn’t work! 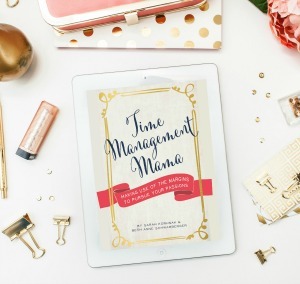 We like time frames and knowing how long it will take to complete certain tasks. It's neat and pretty to give yourself one year to complete a specific goal but some goals take more than 356 days to complete. Don't assume that when the one year mark from the time you set your initial goal comes up and that goal isn't yet complete, that it's a failure. If you have been actively working towards completing it with your plan of action, then it's not an issue of failure it is just one of those things that takes time. While I use and love my planner, and think it's a valuable tool in more than just goal setting, I don't let myself get caged in to the dates. Life happens. We are busy women, wives, mothers and entrepreneurs. All of those roles flow into each other and while sometimes it would be nice to compartmentalize those roles, it just doesn't happen that way. How you even been in a goal setting cycle of failure? How have you broken free from it? 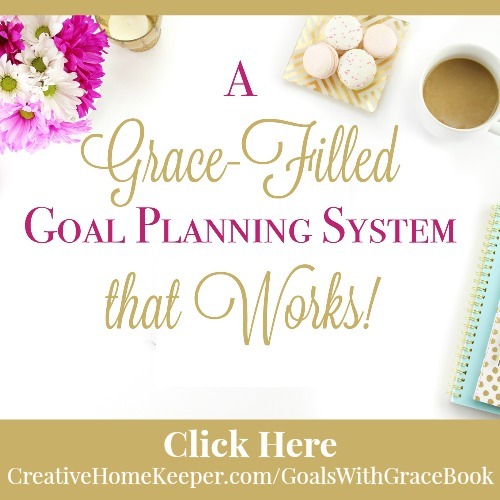 If you have been struggling identifying what matters most and spending your time not really accomplishing anything of value, I would love to invite you to check out my brand new goal planning system Goals with Grace: Goal Setting with Intention and Purpose. 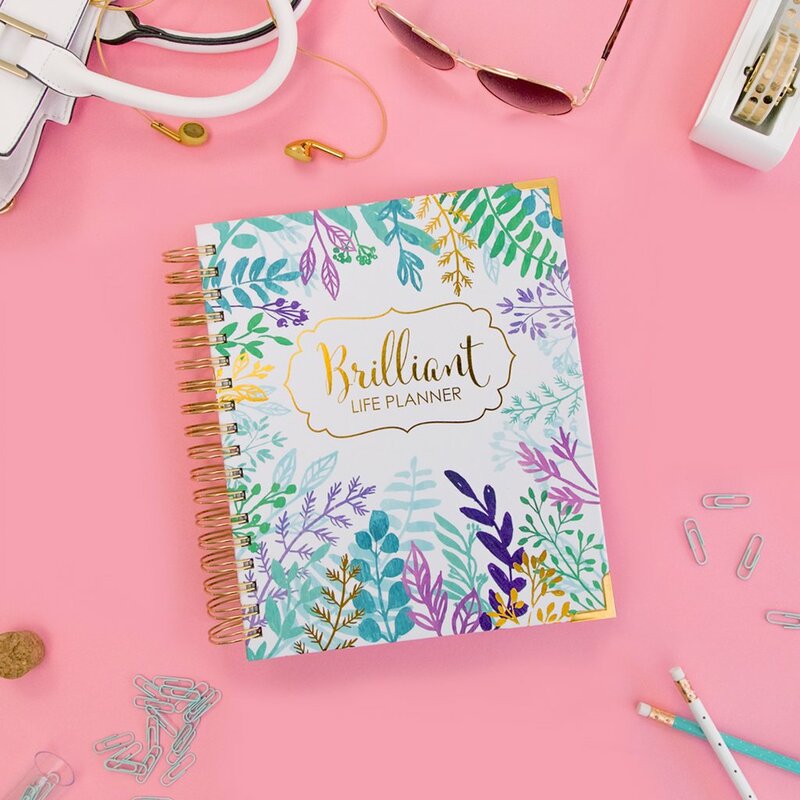 Plus there is a bonus action planner, the part I'm super excited about, to help you make a plan and use your time and days the most intentionally. 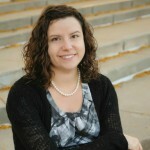 Victoria Osborn is a wife and is a mother to three young children who keep her on her toes most days! She loves Jesus, writing, coffee and all things book related. She is author of Goals with Grace: Goal Setting with Intention & Purpose, a brand new goal setting system that works! 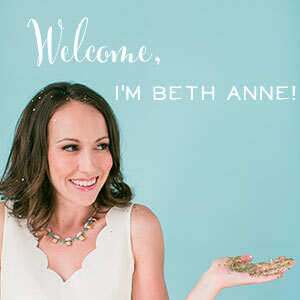 You can find her writing at Creative Home Keeper where she helps women aspire to be more purposeful & filled with joy by providing grace-filled tips & resources to live a more simple, intentional & devotional life. You can connect with her on Facebook and Instagram. 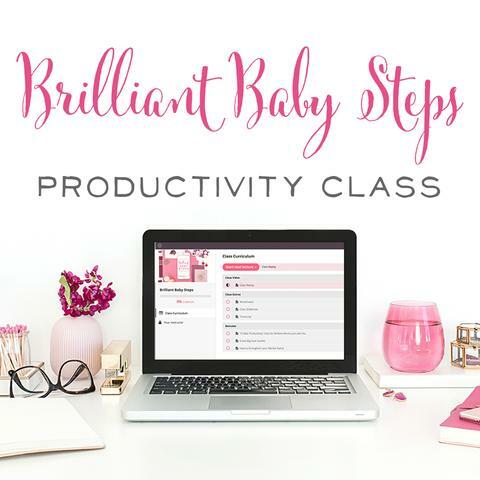 Filed Under: Productivity Tagged With: creative home keeper, goal-setting, how to reach your goals, productivity, time management, why don't I ever accomplish my goals?